Are You Making These Thanksgiving Décor Mistakes? 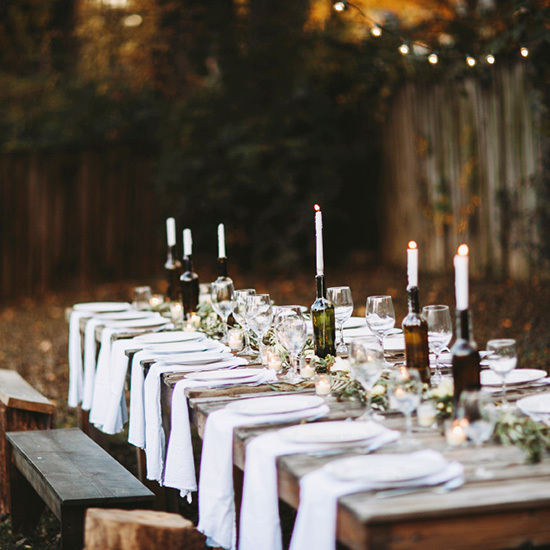 While trying to craft the perfect tablescape to host your loved ones for Thanksgiving, you may find yourself getting carried away and making one of these easily avoidable decorating mistakes. Not to worry! There’s still time to step back and reimagine your décor to ensure your table is not only beautiful, but your holiday enjoyable. While we love scented candles in a bedroom or living room, avoid using them to create a warm glow at the dinner table. Their scents will compete with those wafting from your kitchen and confuse your senses. Opt for smell-free pillars instead for the same visual appeal. We’re all for a dramatic floral arrangement, but when hosting a group at your table, a too-tall centerpiece will block the sight lines between you and the person sitting across from you, making conversation difficult. Save your grand arrangements for side boards and consoles, and stick to lower bouquets for the dining table. Use the height of a wine bottle as a guide; any taller and you should scale back. A gorgeous runner and seasonal fruit and produce make for a lovely visual arrangement but make sure you leave room for glasses, salt and pepper shakers, bread baskets, and the like. There’s nothing chic about a place setting that feels tight and constricting. You want your guests to relax, and with too many decorative elements on your table, it can feel claustrophobic. Sometimes the simplest of visual compositions can be the most beautiful, a sentiment which also applies to a holiday tablescape. Don’t overload yourself trying to craft the most abundant table you can imagine, and instead embrace a simpler set-up. Thanksgiving is about spending time with family and loved ones. If your table décor is causing you stress, pare it down. Photo: The White Buffalo Styling Co.
Who says you need to stick to a traditional color theme for your Thanksgiving table? We love the use of sage, navy, and copper on this table from The White Buffalo. The unusual combination feels fresh and inspired, but still appropriate for an autumn event.